They’re on the march. That massive, muddled great-migration herd of wildebeest, zebra and antelope thundering through East Africa to face the perilous crossing of the Mara River, chocker with crocs. So where to stay for the spectacle? While many head to old favourite Governors’ Camp, it’s now mightily crowded. For less bloodthirsty drama but beauty to behold, try the camps at newly-born Naboisho Conservancy, with sensational game-viewing, bizarrely few tourists and a whole lot of lions. Some 500 Masai are leasing 50,000 acres of land flanking the Mara for hand-in-hand tourism and conservation -- supported by brilliant pioneering Norwegian operator Basecamp Explorer. There’ll be six camps, some tszujed up, some freshly-pegged, and all outside the strict rules of the Masai Mara Game Reserve. That means off-road and night drives, as well as walking safaris with Masai guides who’ve grown up on this land. Sleep under canvas at hands-down favourite Basecamp Wilderness, with its rip-roaring Rift Valley views -- and visit soon. The camp closes for a makeover in December and there are rumours of plunge pools. But let’s hope Naboisho sticks to its eco principles. 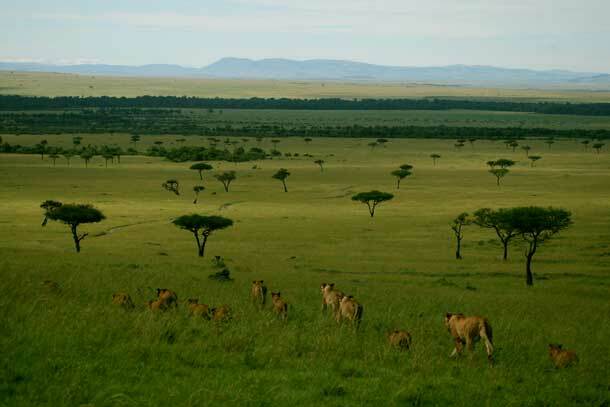 Just in: during migration months (June-October) a new flight from the Mara to the Serengeti will slash transfer times and allow for a seamless combination safari on both sides of the border. Michelle Jana Chan travelled with Africa Travel (www.africatravel.co.uk).